Hi, I am also a writer but I am currently looking for someone to write for my site as I don't have time to write for my own site. This is a great opportunity for new seller and sellers with no rating. I want 2000 words of SEO article I know payment is low but if I loved your work I will give more. 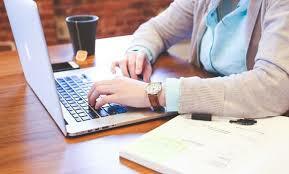 I will provide all the keywords and also subheading so it will be easy for you to research and write. i will give you 2000 word article with unique word and i will give you 100% satisfactionsatisfaction work guarantee . please order me. hi, my name is eibrahim. i am a new freelancer. but i am a professional writer. and i believe that i can write a unique article. please give me a chance to prove myself. manually make no spam work. 100% carefully work done. fast delivery.